After seeing two of her three stunning daughters happily marry, Daphne Wilder focuses all her worries on Milly, her youngest, most insecure and unlucky-in-love offspring. Twenty something Milly has got her career as a chef figured out, but is clueless when it comes to love, attracting a never-ending slew of married, cheating and closeted men. Taking matters into her own hands, Daphne places a personal ad for her daughter, interviewing the suitors herself and settling on one particularly promising man named Jason. Meanwhile, clueless to her mother's plans, Milly starts to fall for Johnny, a cute musician who in spite of treating Milly like gold, is hardly what her daughter's future. As Milly becomes increasingly involved with both men, Daphne must face whether maybe she could still have her own romantic life at age 60, instead of just living vicariously through her grown daughters. 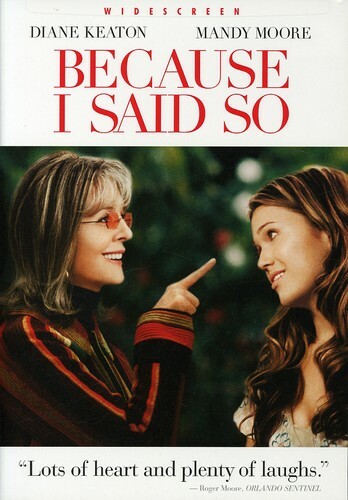 Director Michael Lehmann Star Diane Keaton, Mandy Moore, Piper Perabo Special Features: Widescreen.